Orthodox Christians the rite of consecration of the dwelling is considered to be one of the mandatory. It symbolizes the belonging to the Church, to God's blessing for protection from evil forces. Most often sanctify the house after moving it and after the repair. The priest or friends members can strongly advise to consecrate an apartment, if it lives, seriously ill people, family on the brink of divorce, young children. The Orthodox Church maintains the conviction that the lighting of the home must deal with the priest. If possible, invite from the temple priest. Typically, this rite of the Holy fathers come with their incense, oil, candles and Holy water. However, just in case, better to visit the priest and to stock up on candles and Holy water on their own. Candles always can be purchased in the Church shop. Blessing of the waters takes place every year at the feast of the Baptism of the Lord. Dial it from any street water source, most often from the hole. As a rule, the stocks of the baptismal water is in the house most of the churched people, you can contact them. If you are not able to invite to the ceremony the priest, the Church admits that a layman can carry out the consecration on your own. Before that, it is advisable to take a blessing from your spiritual mentor or, if you do not, the priest in the temple. On the eve of the consecration of the home, preferably on Saturday, make the house a General cleaning, wash all floors, ventilate the room. If in a large room in the red corner (opposite of the entrance) you have not the icon with the lamp, put it, at least for a day. The rite of consecration is best done on a Sunday. Dial Holy water in a clean, desirable - new - a bowl, dip in her three fingers, folded pinch, like you are going to cross. Then start to spray the room, from the red corner with the icon and proceeding clockwise. 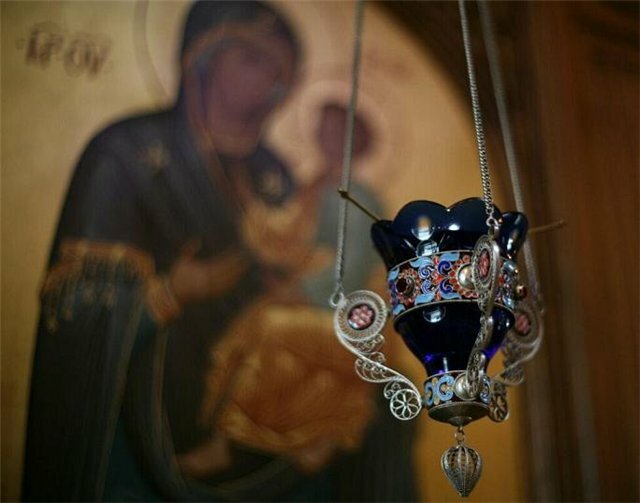 Sanctify the dwelling with a prayer: "In the name of the Father and of the Son and of the Holy Ghost, by the sprinkling of Holy water causing the flight to turn every evil demonic action, Amen." If you recite Psalm 90 or extracts from it, can read them. If you are expecting a priest, be aware that it may negatively perceive the presence of your home TV. Especially if he stands in the corner of your living room, where should be placed the iconostasis. To sanctify the water and at the prayer service in the temple. Find out in advance in the Church, when there will be a small blessing of the water.